If April means spring to you; get out your gardening tools and get moving. A successful garden begins with good soil. Organic material is important to the soil composition. It helps with drainage and increases the microbe population. Expanded shale is used to break up hard compacted clay soils. Top dress your flower beds and containers with organic mulches. 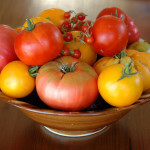 Hopefully, you have your tomatoes, peppers, squash, and other warm season vegetables already planted; if not get them in the ground right away. To get the highest yields, make additions of fertilizer every couple of weeks, starting about a month after transplanting or seeding. If your yard is too small for a traditional garden plot, try gardening in containers. The bigger the container, the better! Container gardens need more attention since they dry out faster and need regular additions of fertilizer to compensate for the more frequent irrigation. If you want to create a truly dynamic garden, inviting colorful guests like butterflies and hummingbirds are definitely the way to go. Butterflies like sunshine and plenty of space to fly around, so opt for a sunny, open spot. Both enjoy having some type of cover as a resting spot. Your garden should include some type of water feature as butterflies and hummingbirds often congregate around water. St. Augustine and Bermuda lawns should be actively growing now; so it is a great time to apply fertilizer. A correctly fertilized lawn now will better help your lawn to handle the Texas Summer Heat! This entry was posted on Monday, March 18th, 2019 at 9:51 am	and is filed under News & Updates. You can follow any responses to this entry through the RSS 2.0 feed. Both comments and pings are currently closed.